Most everyone has probably heard of Pandora Radio by now. Recently, Randy discovered a comparable website that we're diggin' right now. It's called 8 Tracks and its totally free. People are invited to load a playlist of 8 tracks or more and the website shares it. We've already discovered tons of music we've never heard of and I guess there is something to be said for a playlist generated by a real person, not a computer. Here's a quote from the website. "Listen for free to the best internet radio, crafted by people who know and love music. 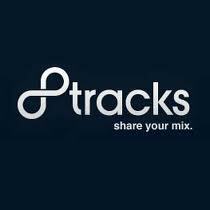 Or, legally share your own online mixtape, a streaming playlist with eight or more tracks." And the best part is that there aren't any commercials! !